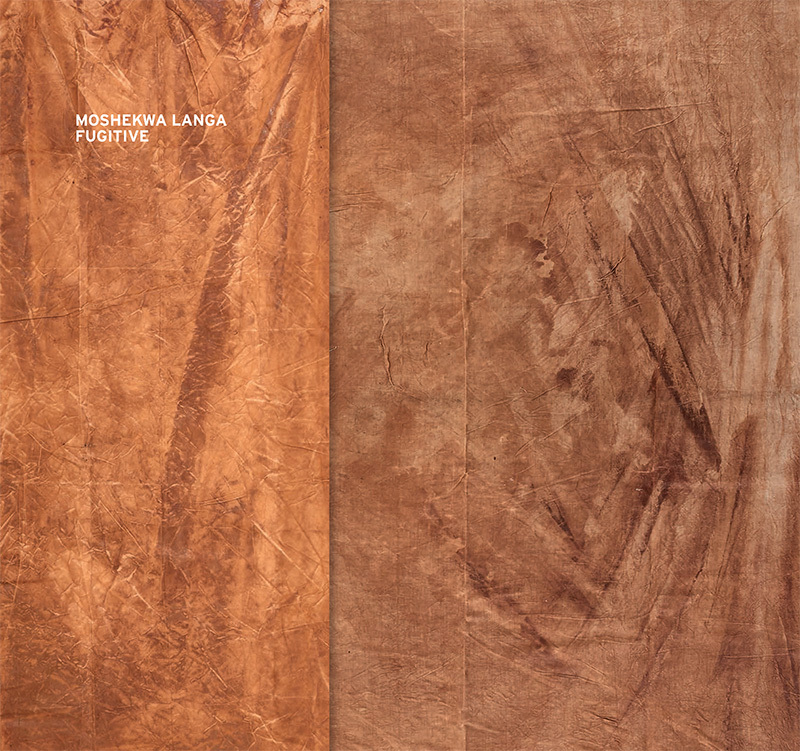 Fugitive is Moshekwa Langa's first solo exhibition at Stevenson Johannesburg, and his first exhibition of new work in this city since 2009. The works were produced in Paris and Amsterdam as Langa reflected on his past and in particular the landscape of his home town of Bakenberg as it changed with the onset of platinum mining. Taking on a new life in Johannesburg, his experiments become an articulation of the artist’s concerns with time, memory and the entanglement of context. From his earliest works, produced in the mid-1990s when he was not yet twenty, Bakenberg became for Langa a deeply personal marker of relative distance from wherever else he found himself or felt himself or had to explain himself; a strongly formative location of belonging and un-belonging. The place where he lived for his first eleven-and-a-half years has become, for Langa, a space – and an idea of a space – of continual longing; a signifier of home, of stable existence – of his rooted self and life; a place of refuge in his mind where he isn’t required to explain himself to anyone: where he came from, what that meant to him. And thus the relative distance that Bakenberg represents as a point of evaluation for all of Langa’s experiences has become not only spatial and experiential, but also temporal – an imagined, longed for time of containment and relative simplicity and uncomplicatedness. To some degree there is a conflation of the nature of place and self, key elements that Langa returns to repeatedly in his work. This deeply entangled evaluation and registration of himself in relation to space and time is a fundamental motif of the Fugitive exhibition, twenty years on from experiencing his earliest radiance under the international spotlight. In Fugitive Langa questions, engages, connects with and tries to make sense of his process and his journey over these twenty years.